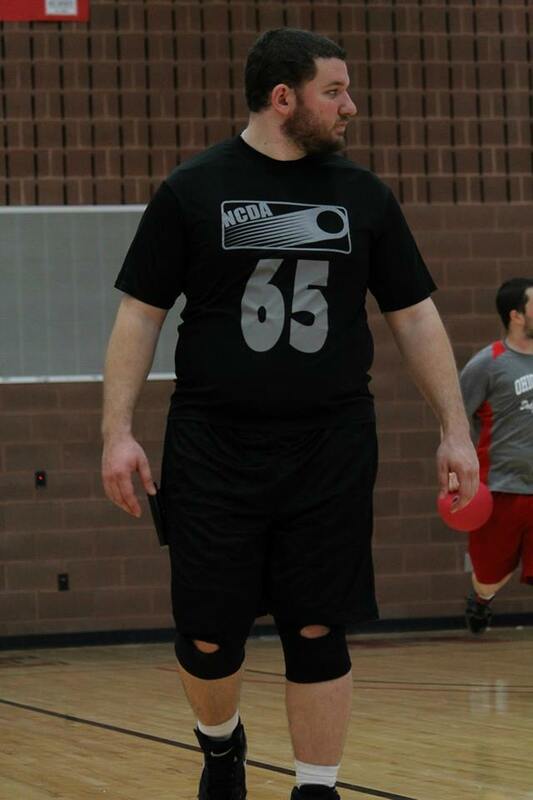 I was recruited in a very unlikely manner for Kent State Dodgeball in 2010. I was at a Magic the Gathering club meeting and the current club president came over after not even knowing my name on the second day. He then said in a complete straight face, “You look like a big guy that could hurt someone from throwing a ball at them. Come play Dodgeball tomorrow.” Needless to say I became the big target for Kent’s team. Past this time, anyone that played with me knows that I transitioned to a much more upfront and annoying roll of full time meat shield for Kent’s team. 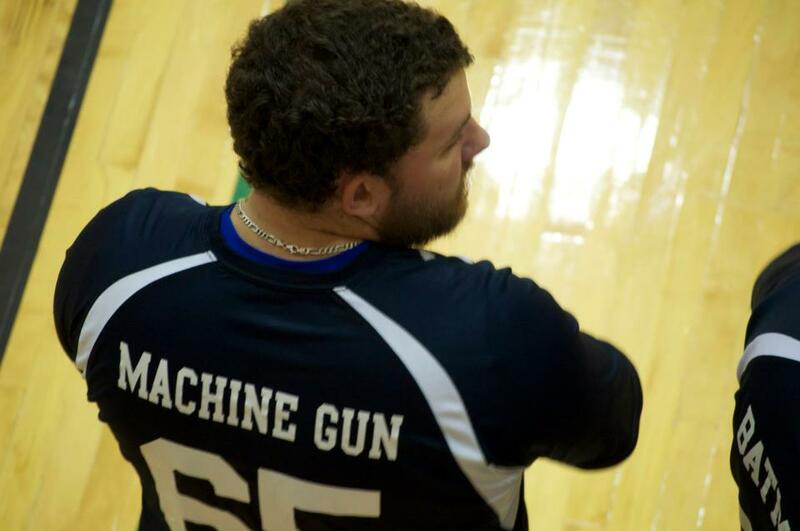 Back when Dirty Blocking was a thing (ball was dead once it came in contact with blocker’s ball), I frustrated many teams, and earned quite a few other “nicknames” from them. You will never know how much of an impact you can make for your team until you get another team to throw all 10 balls at you on a balls over just to make sure you’re out. Thank you Kentucky. I was never involved with any leadership position or important role at Kent, but looking back on it; it would have been something I would have liked to have done. Regardless, I still have to give my appreciation to all the captains of the league for helping to manage the teams and keep this great sport going. After graduating I decided to continue to assist the NCDA as a Ref and have not regretted it yet. From seeing others that don’t care to seeing “paid” non dodgeball refs try to ref the sport was just infuriating when I was in college. That was something I sincerely wanted to change if I could and as a ref I am trying to. I feel the league as a whole now with the active alumni and the board have made great steps in trying to give the players the best experience in the game that they can get when they are playing. I would highly advise any current player to consider assisting your team a bit and helping the next generation grow and learn once you graduate if possible. My hope is to eventually, when I’m an old fossil, to be able to turn on the NCDA National Championship on some prime time sports slot. 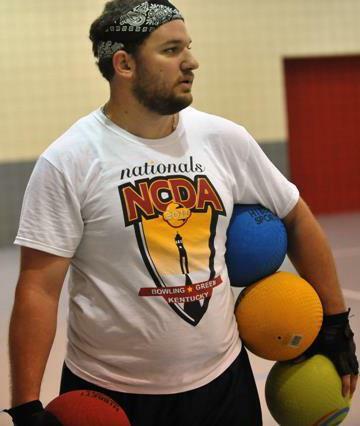 From here I only have two pieces of advice for the players: Dodgeball isn’t just a game, you will get experience, friends and much more from the sport. Embrace what you get and use it. Interviews, Connections, Travel; anything at all no matter how it feels it is a useful experience in your life. Second, you can see and feel the great things you are capable of on the court, transition that to off the court and always strive for your best.